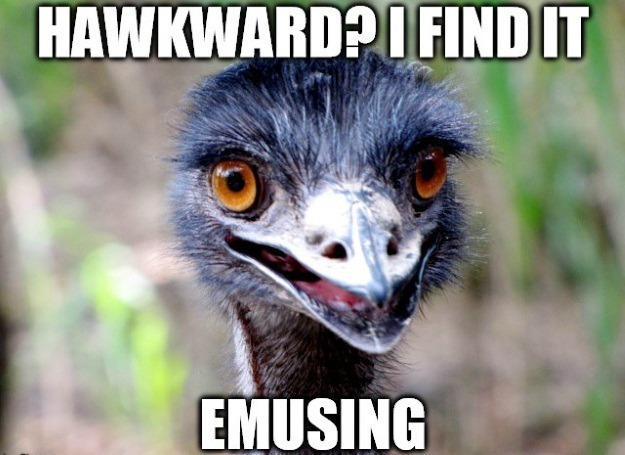 Puns aren't just a witty bomb you drop in the middle of a conversation. They're a way of life! 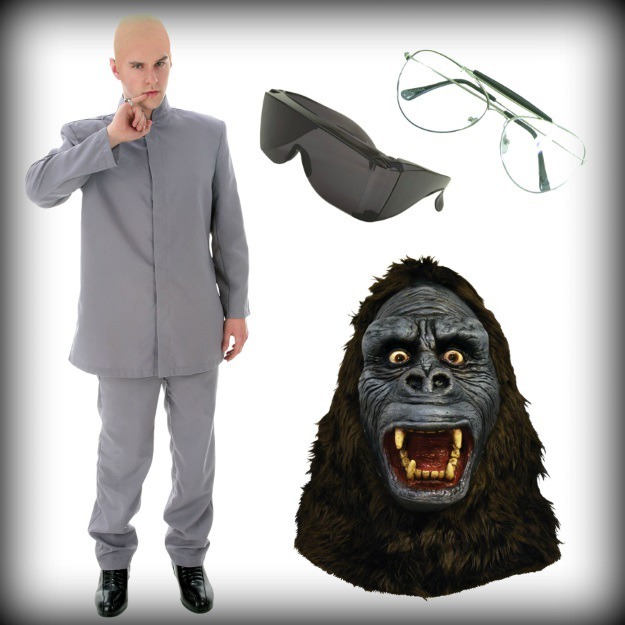 And the way we see it, you should take command of your costume to make it an expression of your sense of humor. After all, what you seize is what you get! If you need a little help to hot-wire your idea engine for some punny costumes, then take a look at our list of these word pun costumes: animal edition. Football? Dolphins don't even have feet, so what kind of porpoise would there be in the sport. Some dolphins just like to chill on Miami beach, wearing the signature Acapulco shirts made famous by the Florida party spot. 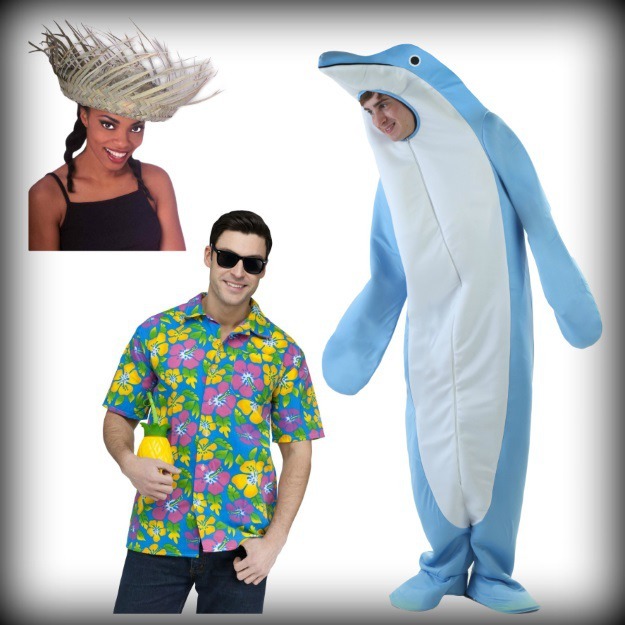 All it takes is our dolphin costume and a tropical vacation shirt for a crazy pun costume idea. Move over Foster's! There's a new brew from down under in town and it's name is Koala. 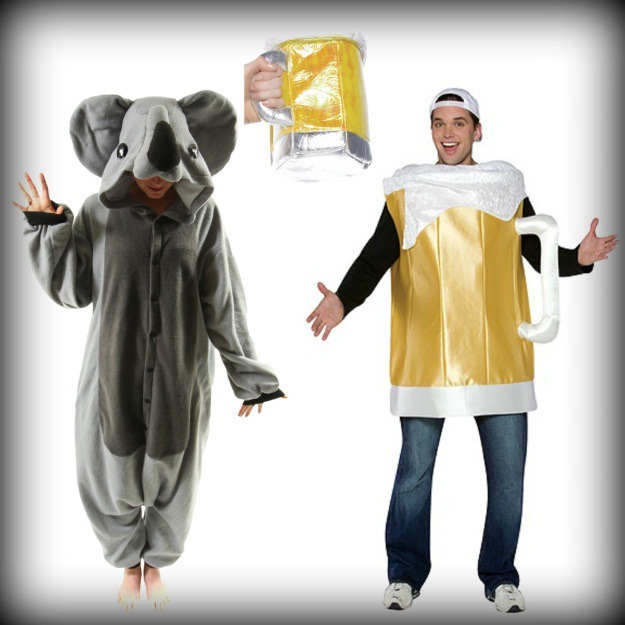 All you have to do to put this look together is take one koala costume and add one (or more) beer! You fancy yourself a wino? Is it because of your love of the beverage, or is it because of that big horn you have in the middle of your forehead? After all, rhino's have the body to judge a nice heavy body red wine. What do you get when you cross a chipmunk who works out to impress all the girls? A chiphunk, of course! (He's not to be mistaken with a chip-punk, who sports a wild mohawk and plays bass guitar in an attempt to impress the ladies). 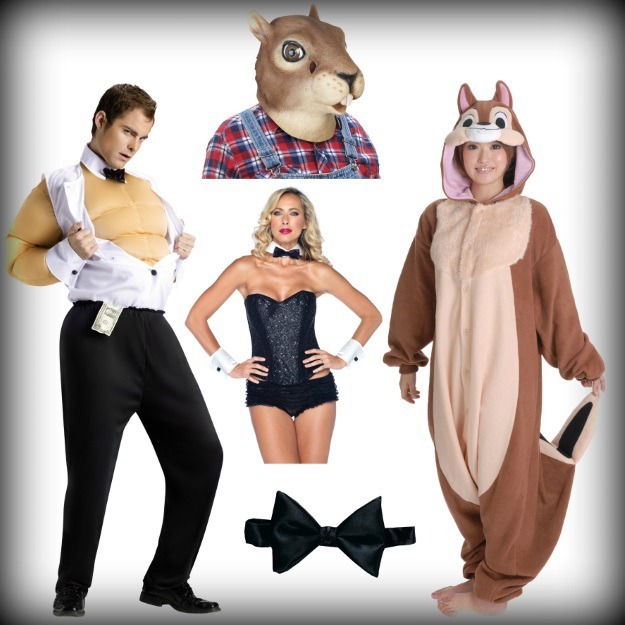 Just pair a chipmunk mask and a muscle suit together for full effect. You've seen the cartoons, but we had a much different picture in mind when it comes to Grape Ape. 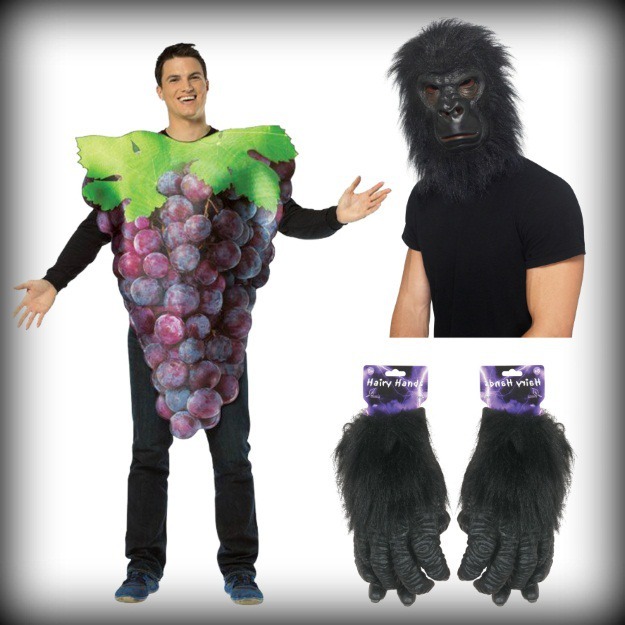 All it takes is one part ape costume and one part grape costume. If put on your best “mean face” you can be the Grape Ape of Wrath. Those eagles are filthy liars! Normal bald eagles have feathers all over their heads. 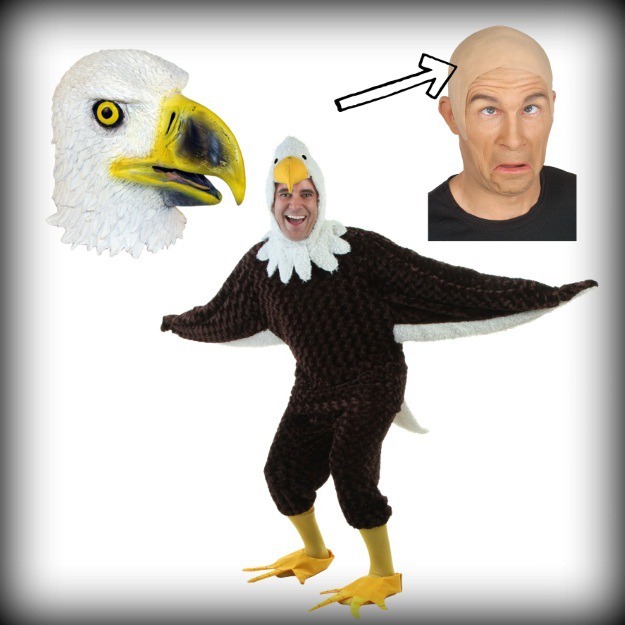 We've fixed that with this “real” bald eagle costume idea. (That'll teach those avian raptors to false advertise about their hair condition). Who'd ever want to pack a rat? 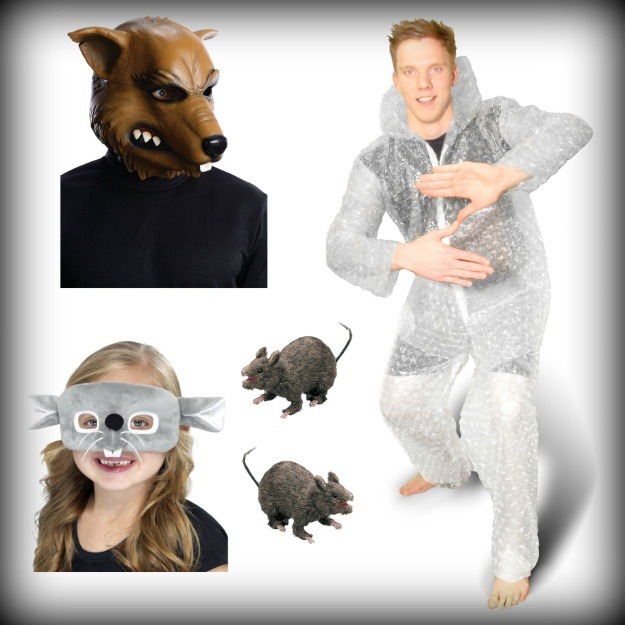 We're not sure, but if you do, we imagine that you'll need a rat costume and a whole bunch of bubble wrap and packing supplies. Hungry? Normally they cook the chicken first, but this is what happens when the main ingredient in the chow is still raw. First there was the Lolrus. Now there's the Failrus. He just can't seem to get things right (and that shark isn't really helping him out either). 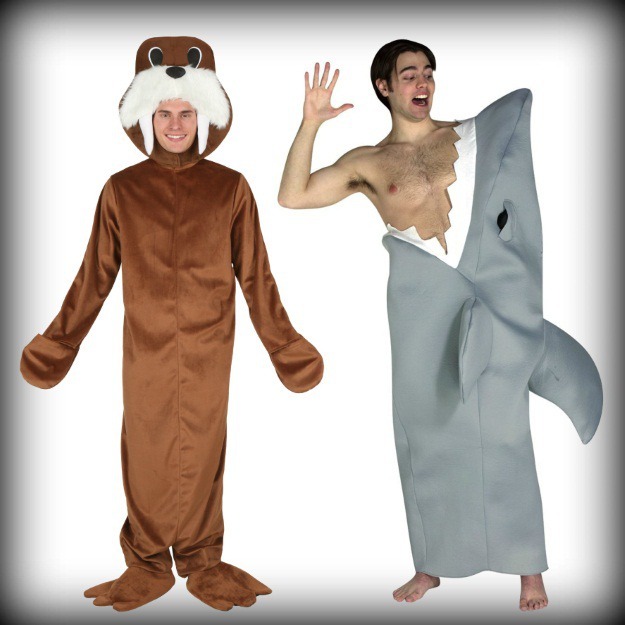 Just combine our walrus costume with a shark attack! What did the raven say? Ask Edgar Allen Poe and it might be something silly, like “never more.” We know what the raven really said. “Let's head to the club. 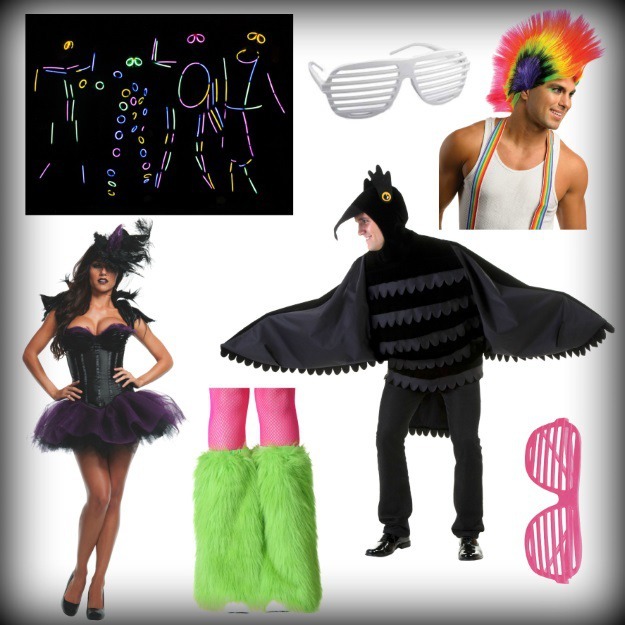 I'm ravin' tonight.” All it takes is our raven costume and some glowsticks and party accessories. For some reason, goats love totes. Why? We haven't figured it out. We think it's just because totes are super handy, but it could be the way James Earl Jones says the word. 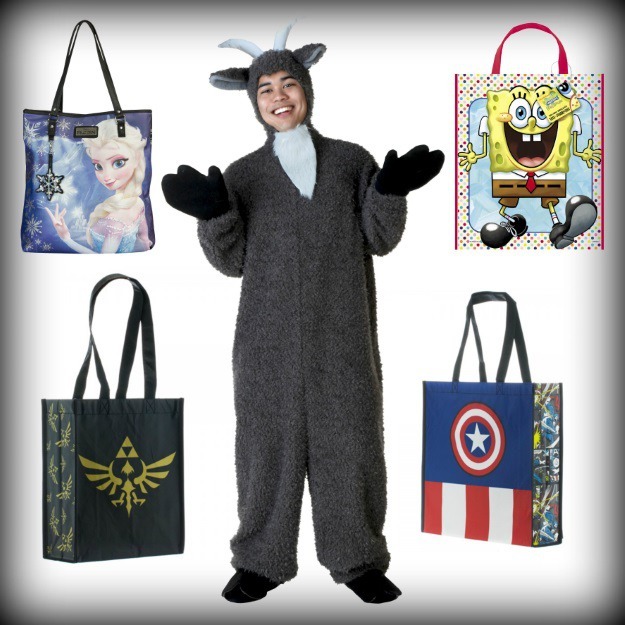 Just pair our goat costume up with your favorite tote to be Totes MaGoats. Cray-cray adorbs. How come no one takes horses for a relaxing day at the beach? They like to get some sun, take longs walks across the sand, and play a little beach volleyball. The horses that like that stuff are what we call a 'sea horse'. 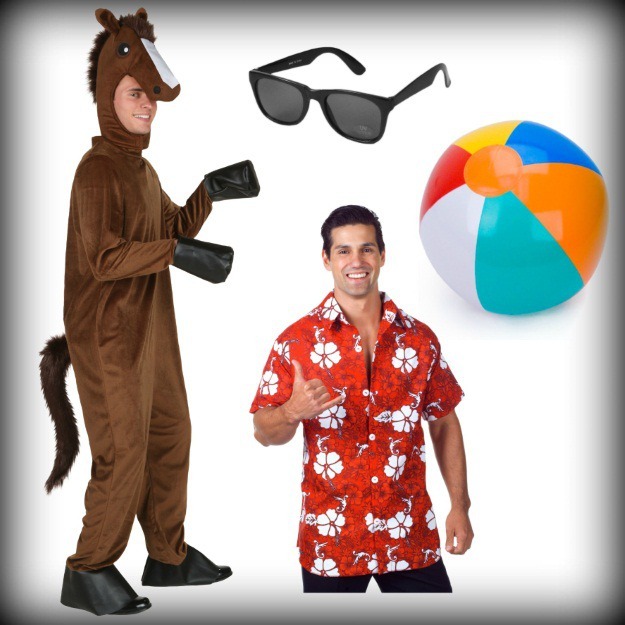 To make your own, simply take one horse costume and add some beachy fun items! We never knew that buffaloes had wings until wing night became a huge hit in every restaurant ever! Of course, we couldn't help but alter some of our costumes based on our newfound knowledge of bovine anatomy. 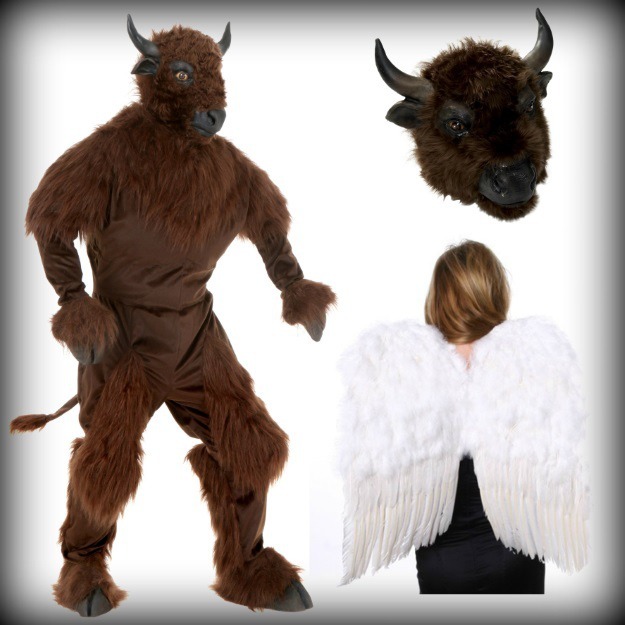 You can do it too with some good old-fashioned costume wings and your favorite buffalo costume. 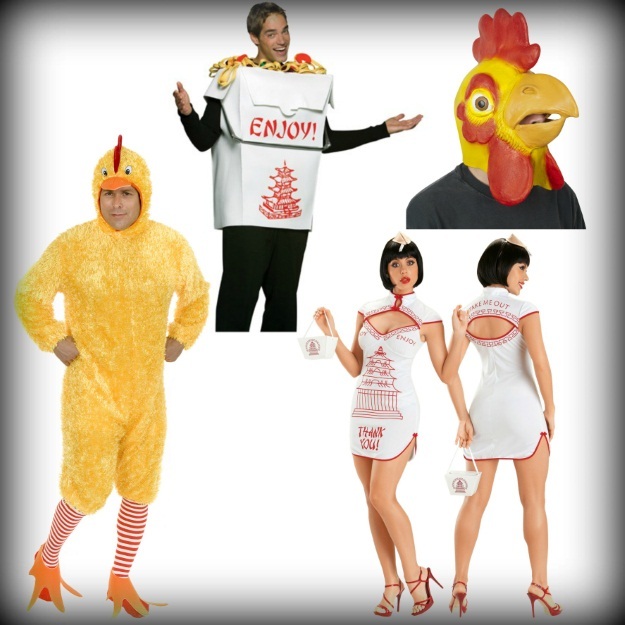 For added fun, act saucy all night to add to the pun costume ideas. This is what would happen if you crossed a popular 80's video game gorilla with an East Asian militaristic leader. (It's the precursor to the Plant of the Apes movies). 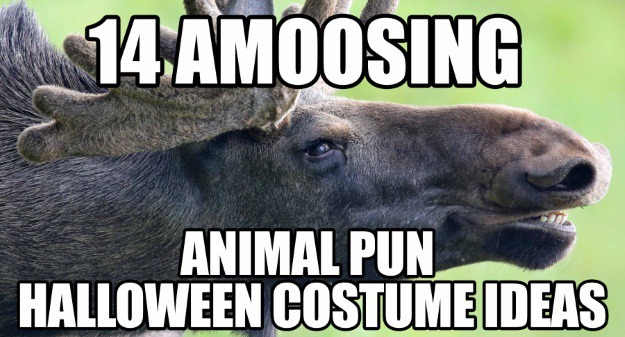 Which punny animal costume was your favorite? 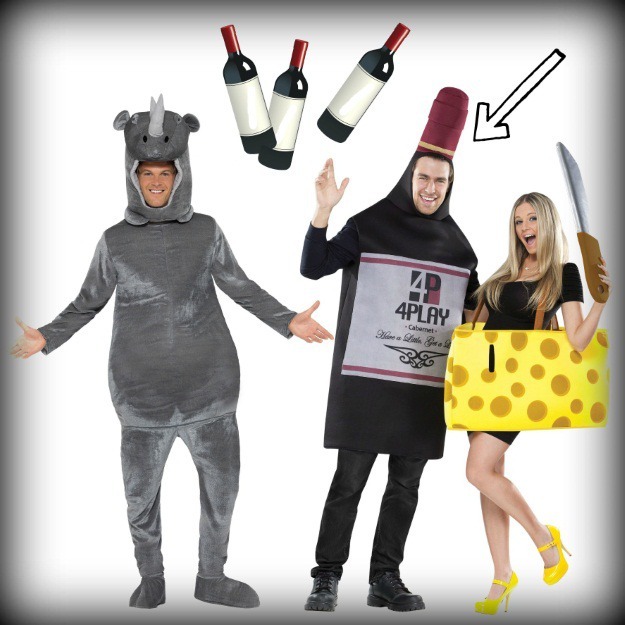 Have some other ideas for some punny animal costumes that we didn't? Just feel like expressing yourself through emojis? Then, let us know in the comments. Just don't write anything too...hawkward.